Order in 2 Hours 48 minutes 46 seconds for dispatch today! 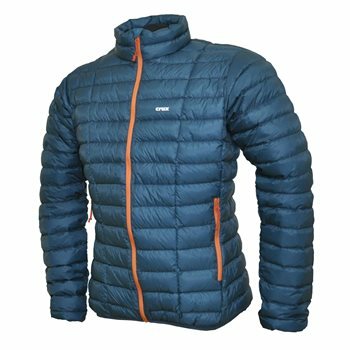 The Turbo jacket is a lightweight, compact and water-resistant down jacket ideal for high intensity activities in cold conditions – ski-mountaineering, snowshoeing, cross-country skiing, winter hiking etc. The turbo features two hand-warmer pockets (with zips) and an internal chest pocket that doubles as a stuff sack. It has 95g of the highest quality 900 fill-power Polish goose down. The turbo jacket uses a stitch-through baffle construction; simple and light and all that is necessary when you’re packing less than 100 g of down. However, as with all low fill-weight garments, it is necessary to increase the amount of baffling to keep the down in place, and for this reason the turbo also features vertical stitch lines.